Tears were flowing in the Dean Smith Center on Saturday evening. 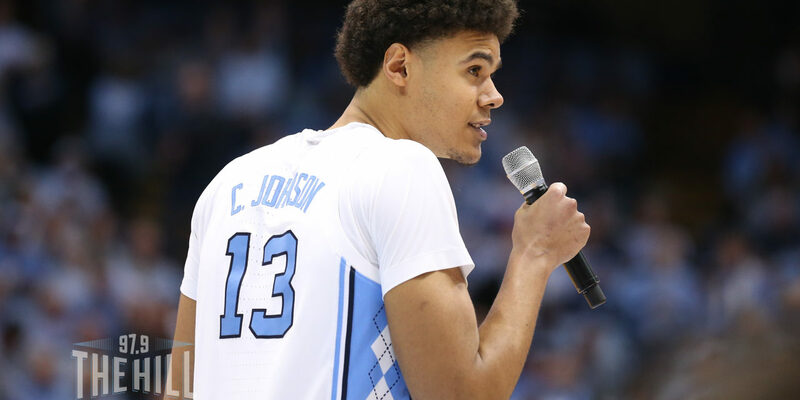 The third consecutive victory over rival Duke was at the back of everyone’s mind as a trio of UNC seniors stood up and said their goodbyes to the Tar Heel faithful in Chapel Hill. Luke Maye, Kenny Williams and Cam Johnson each had the opportunity to take the microphone and say farewell to their teammates and the UNC fanbase after the game. Kenny Williams was committed to VCU. Luke Maye was a walk-on, the son of a quarterback. Cameron Johnson began his career at Pitt. Today, they're Tar Heel senior leaders. Maye’s story to Chapel Hill has been well told. The 155th ranked player in the 2015 recruiting class accepted a walk-on offer to Chapel Hill before being placed on scholarship. After hitting the game-winning shot against Kentucky in the 2016 NCAA Tournament, Maye quickly rose to stardom and has been an All-ACC selection for the past two seasons. For Maye, the dream was always to play in Chapel Hill. In 2005, UNC trailed Duke by nine points with three minutes remaining. But freshman Marvin Williams sparked an 11-0 run in the closing minutes of the game to give the Tar Heels a 75-73 victory over the Blue Devils in the Dean Smith Center. In his speech, Williams took the opportunity to thank assistant coach Hubert Davis. Meanwhile, Johnson took a different path than his senior teammates. The Pennsylvania native enrolled at Pittsburgh before transferring to North Carolina for his last two years of eligibility. In his speech, Johnson thanked his teammates for accepting him in the manner that they did. For Coach Williams, every Senior Night is an emotional and difficult affair.